I attended a documentary film screening in Atlanta yesterday on living in an aging society. In the first part, a Stanford professor asked a group of college students to describe their lives under two scenarios—as if they would live to age 60 and as if they would live to age 100. Their answers were surprisingly similar. Unable to envision how they would spend the extra decades, most simply projected delaying retirement by five years. People are living longer than ever in history. Life expectancy grew by an extra 40 years in the past century. When Social Security was established and the traditional retirement age was set at 65, life expectancy was only 62 years. Babies born today, however, have a 50% chance of living to age 100. Society has much to do to adapt to the reality of longer lives. The film explored some of the challenges and opportunities we face. There were stories about communities working to make their homes, streets, and workplaces accommodate people of all ages. Companies like BMW and Wellstar have implemented changes so both young and older workers can remain productive. Cities like Norcross, Georgia are planning walkable neighborhoods so residents can easily access friends, recreation, shopping, and healthcare without transportation barriers. Give this new phenomenon of longer lives, the old model of the life course with three stages, youth/adulthood/old age—each focusing on separate issues, education/career and raising a family/retirement—no longer serves us well. More older adults living longer means younger adults are squeezed between raising children and caring for elderly parents. One idea brought up in the discussion after the screening was to make Social Security benefits available for a year to give those adults help when they need it. This film is a tool for social change. While I typically focus on preparing for a better aging experience on a personal level, this glimpse into the societal issues was enlightening. Around the world, countries are grappling with a new, extended period of life. Despite some movement, there are barriers to developing and adopting progressive policies that can address these issues. One such barrier is the “us” vs. “them” mentality. Not wanting to identify with aging, too many adults shove the older population into an “other” category, allowing for discrimination, patronizing, and turning a blind eye to make them into victims. Another barrier in this country is the fact that most Americans don’t want to face the fact they are aging. That traps us in a futile fight against reality and leaves us with our heads stuck in the sand. 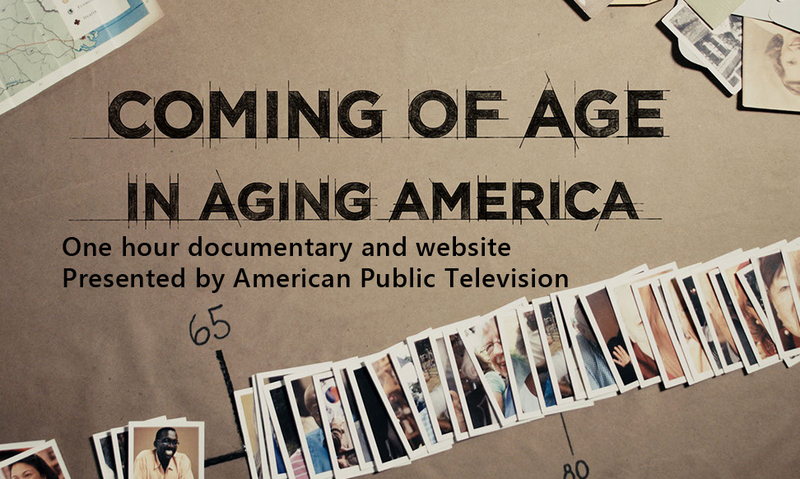 The film, “Coming of Age in Aging America,” will air nationally on the World channel. Check its website (http://worldchannel.org/) for airtimes. The film will air Thursday, July 6 at 7 pm on PBA-30, Atlanta’s PBS station. 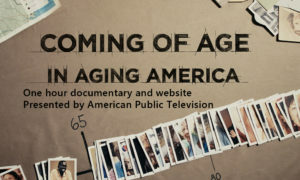 For more information on the film, visit www.theagingamericaproject.com.